7 Golden Rules for the Brand N - “YOU Year 2013”! Sadly, it is not. Period. At least not for those who just fill their lives with hollow optimism for a miracle to happen – and then wait for a magic wand to wave off their woes and indulge their whims! But yes, the year does belong to those who nurture their optimism with honest and sincere DEDICATION towards their goal of desiring a better and transformed life, with but one thing: Dedication. I Promise you, that if you ADOPT and follow these 7 Golden Rules – My 7 DOs for 2013 – before it dawns on you, not only will you stay on-track with your Personal Branding Efforts-day after day, month after month, but by the next December 2013, you will see your SMART Goals yield Substantial Brand Equity for the Brand YOU! Decide the goal for your brand: Every year we make new resolutions, for a better job or a better lifestyle, or the worst kept of ’em all a better body! Decide the professional goals for your Brand for the year 2013, RIGHT NOW itself so it doesn’t get lost in the myriad of other resolutions. 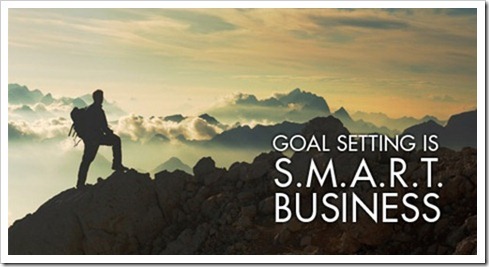 While goal setting ensure the SMART Test is passed by each and every goal; i.e. they must be Smart, Measurable, Achievable, Realistic, Time-oriented. 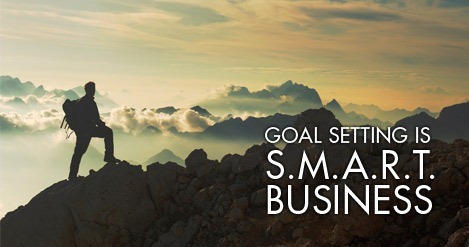 Divide the goal into sub-goals: If you have enlisted 3 BIG Goals for Brand YOU, then the best approach to achieving them is to break them up into a series of sub-goals which when achieved subsequently conquer the BIG ONE too! It’s a simple historical concept: Divide & Conquer. Develop the list of resources to achieve these goals: A SMART and strategically designed game-plan is only half a battle won; to prepare for the contingencies ahead, one must THINK 360o into the future to determine HOW you are going to win the battle. Not all, but definitely some of all Goals would demand an additional resource of intervention from an external source, which you will have to foresee and arrange for. For e.g. you might want to move up the ladder of corporate hierarchy, but need an additional skill set to differentiate your Brand from the rest; hence you must evaluate your Goals on what else you NEED to achieve them. Design an action plan for a monthly basis: Once you pen down, WHAT you are going to achieve, followed by HOW you are going to achieve, it’s time to work on the WHEN. Create a month by month diary of goals, which will elucidate your monthly activities to be completed to move one step ahead in your battle. If you are a control freak like me, you may also further break down the month into a fully organized week by week goal-a-thon to make your life BEAUTIFULLY organized. Dedicate your mind, body and time to achieve it: Now comes the most IMPORTANT element of your Brand, YOU! After all the aforementioned efforts towards a Brand N – YOU Year 2013, it will be rather sad if YOU are unable to meet up to your own challenges and expectations. In fact it would be tragic. So you need to be mentally prepared and committed to advance upon a Brand N -YOU journey this coming year. Staying physically fit is AS IMPORTANT as being mentally committed, ‘coz if the twain don’t co-operate, then we have a serious problem friend. My Word: DISCIPLINE is your new best friend this coming year. Do it up and do some more: Who doesn’t like delightful surprises? It is CRUCIAL that you do your do, which you have so painstakingly devised, but it is my personal advice, to go ahead and DO some more. Surprise yourself with a few un-planned goals in the middle of the year, to get you EXCITED and enthusiastic about delighting yourself with some brownie points in your Goal-a-thon. Trust me it’s a win-win situation for you-nothing more, nothing less. How Foreign Companies Can Open Liaison or Representative Office in India?